Consumer Electronics Archives - Solar Love! 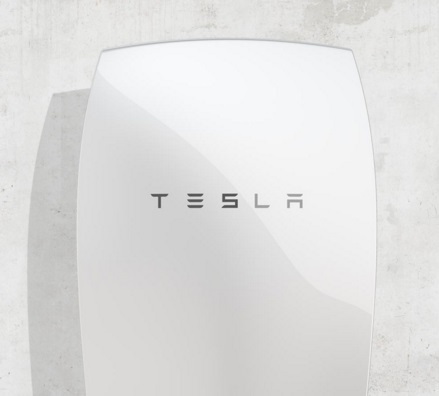 Over 1.3 million households in Australia have rooftop solar power, so it only seems reasonable that Tesla has chosen this country as one of the first that will receive its 7-kWh Powerwall home energy storage systems. They could be available as early as December of 2015, though it had been predicted they will begin arriving in 2016. A startup named Reposit Power based in Canberra is working with Tesla to distribute the Powerwalls. The company also has created technology that integrates solar power with energy storage and it can sell stored electricity back to the grid to make money. Reposit calls the technology an energy storage and trading system. “The idea is to buy from the grid when prices are lowest, consume as much of your own solar as possible, and occasionally sell to the markets when prices spike. This will reduce or get rid of your power bills,” said Reposit director Dean Spaccavento. The potential to sell electricity back to the grid is intriguing: could you make enough to cover the cost of the battery system by selling electricity? If it was possible, how long would it take? The growth of energy storage is significant for a number of reasons, but perhaps none is greater than the ability for a whole country to shift away from fossil fuels. “Australia could reach that 50% target, it just requires well-designed policies and markets that allow a transition from centralised, large-scale fossil fuels to efficient but variable renewables. Storage is a key part to make that happen. 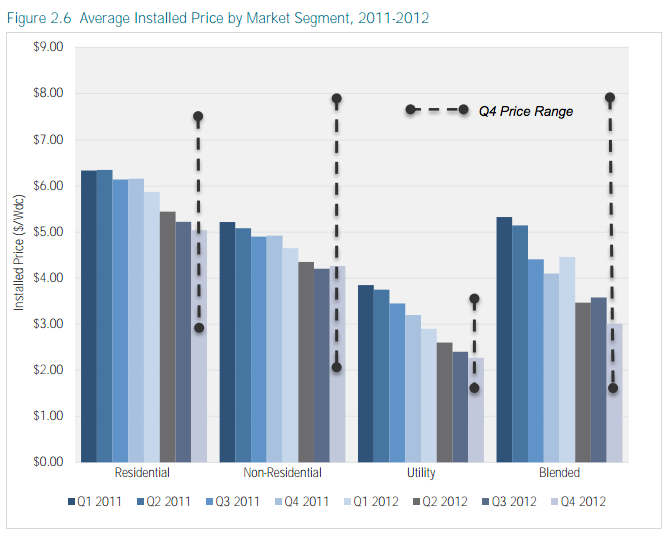 The beauty of renewables is that once you’ve managed the capital cost, there is no fuel cost. There’s an energy security there you don’t get with fossil fuels,” explained sustainable energy expert Professor Anthony Vassallo. Also just announced, in the Netherlands, Eneco will be the first Powerwall supplier. Tesla obviously makes great cars, but it seems that because the Powerwalls are priced much lower, they could sell in greater volume, and Tesla’s brand recognition would only increase. Solar-powered energy generation is really a game changer, but you probably know that already if you’re on SolarLove. 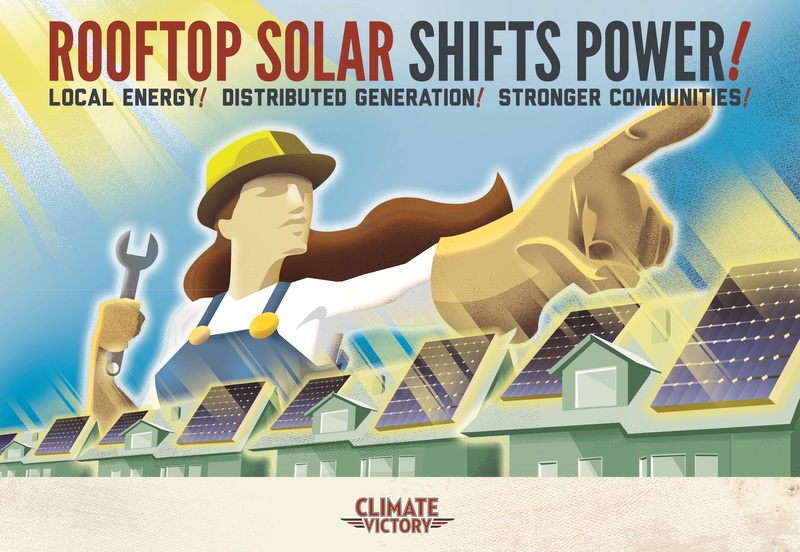 Folks who come here to read about solar are those catalyzing change, implementing solutions, dreaming about a cleaner and more independent future – the Doers, not the Talkers, if you will. Solar doesn’t just allow people to produce power, but it is a truly disruptive technology that democratizes energy production. Democratization is the process of making something accessible to everyone and that is exactly what solar does for energy. Although the final numbers aren’t yet fully available, the total worldwide cumulative installed PV capacity at the end of 2014 is expected to be around 185 GW. To only have 36 GW of utility scale capacity, less than a 5th of the total, is a good sign that PV is, and remains, a decentralized energy source, whose present and future is on residential and commercial rooftops and parking lots. With so much solar being generated on rooftops of homes and businesses, power is shifting from large, central power generators utilizing natural gas, nuclear, or coal to those who consume the power. It takes what would normally be a monthly expense and turns it into an asset for your property while conveniently getting rid of that pesky electricity (or hydro in Canada) bill. Those stats really emphasize the relationship between utility-scale solar installations and residential solar installations, but the power of solar goes far beyond that. Before solar, one’s options for generating power at home were fairly limited. We were able to dry our clothes via the sun, cook in solar ovens, maybe set up a hydropower generation facility if there was a stream or river on the property (which is at risk as climate change–induced droughts become more prevalent), and possibly geothermal generation if it made sense on your property and you had the (significant) capital to cover the installation. Installing a residential solar photovoltaic (PV) system on the rooftop of a home or business changes all of that. The system can be sized to fit the consumption needs of the home – including electric vehicles (EVs), if they are a part of the family — and can even be scaled up in size as needs change. For instance, I initially started with a small 5-panel PV system and have scaled it up over the years to 17 panels today — which more than covers the usage of both of our EVs and all of our other electricity needs. Locally generating power at the point of use also effectively eliminates transmission losses, which the US Energy Information Administration estimates to be 6% of the electricity transmitted and distributed. Applying this to the 4,093 billion kilowatt-hours of electricity generated in the US (EIA estimate for 2014), we find that we generate 246 BILLION kilowatt-hours each year in the US just to move that power around. It’s effectively the cost to “ship” the power… which we can almost fully eliminate through local generation of solar power. West Bengal, India–based PV module manufacturer Vikram Solar has announced some of its 60- and 72-cell multi-crystalline silicon solar modules now come with a linear power warranty up to 27 years. The warranty includes modules belonging to the ELDORA Prime, Ultima, Neo, Grand, and Grand Ultima Series. The warranted power degradation will be 2.5% in the first year, dropping to 0.67% year-on-year from second year until the 27th year, finally ending with 80.1% of the original power measured under STC conditions, at the end of the 27th year. Founded in 2006, Vikram Solar specializes in high-efficiency PV module manufacturing and comprehensive EPC solutions. It presently has a product presence in more than 32 countries. Testing was based on a process starting with detailed Failure Mode Effect Analysis (FMEA) for each stage of design, manufacturing and usage of materials, sub-components, and processes. That was followed with material level testing and life estimation, process modifications with ‘Design for Reliability’ concepts, outdoor testing of modules, and long duration testing under ‘Highly Accelerated Stress Test’ (HAST) conditions. The company stated it is rolling out this warranty term for all the named product types manufactured and shipped as early as December 1, 2015. 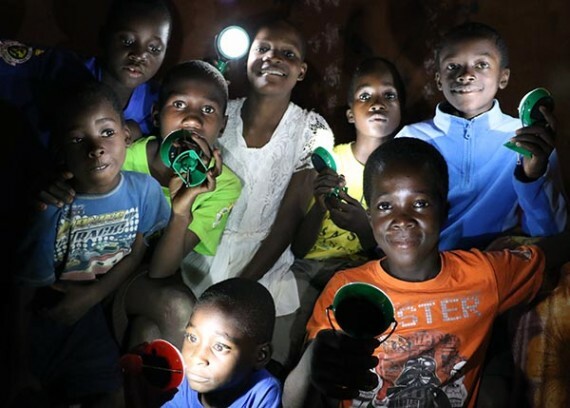 According to press information, RE-VOLT, has launched an Indiegogo crowdfunding initiative to reach 10,000 people in rural Haiti, bringing families affordable and reliable electricity for the first time. 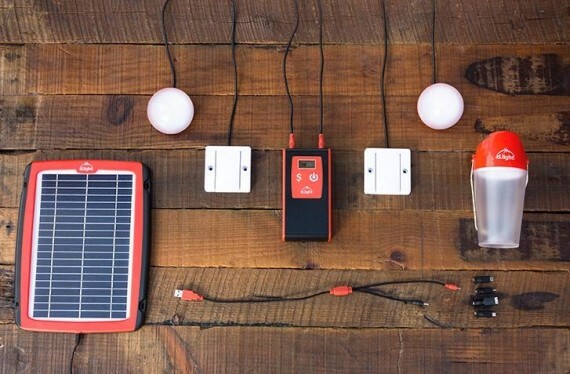 The off-grid company states this will occur through the installation of a system consisting of a solar panel, a control/power storage unit, several lights, and a phone charger. 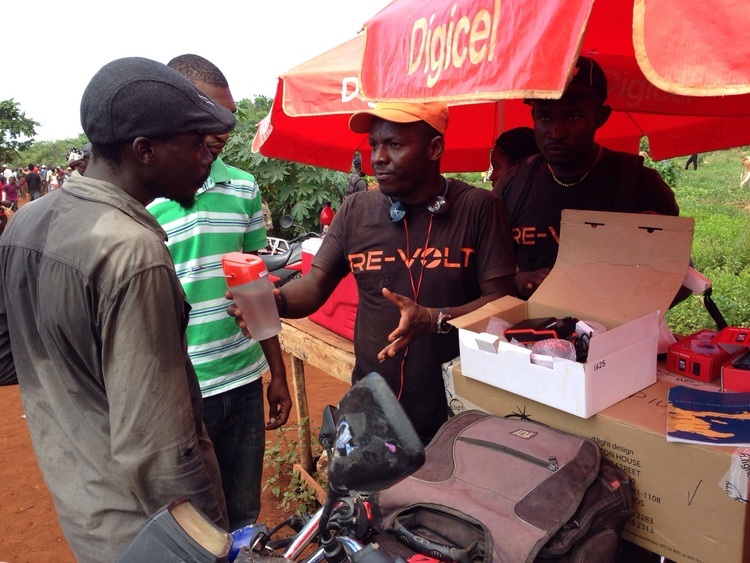 RE-VOLT currently serves over 800 customer households, or about 4,000 people, on the island of La Gonave, one of the most isolated and impoverished communities in Haiti. The problem is some of these families are at the very lowest level of being impoverished. According to We Care for the Poor International, approximately 120,000 people live on the island, all living in very poor circumstances. “La Gonâve is one of the main economically dispossessed areas in a country considered the poorest in the Western Hemisphere where the typical annual income for a family is less than $450,” the organisation write on their website. Divide this annual number by 12 months and monthly family income comes to just $37.30. No doubt, electricity will still be a costly proposition for the poor. Digicel currently reports a strong subscriber base in cities like Port-au-Prince. Growing the business in rural areas was a logical next step, extreme poverty issues aside. When asked what prompted him and Boute to launch RE-VOLT last year, Dolan said that they both felt that the time was right for a variety of reasons, including higher daily household demand for electricity due to the increasing penetration of power-hungry smartphones, and the plummeting price of solar system components, such as solar panels and batteries. An on-the-ground sales team of La Gonave locals goes door-to-door seeking new customers. The team also makes regular visits to open-air markets, a central part of daily life in rural Haiti. This team is also responsible for basic maintenance and troubleshooting on installed systems. The creation of jobs here, in a place where few exist, will no doubt stand out as an important contribution in the development of this business. RE-VOLT recently launched its campaign on crowdfunding site Indiegogo in order to raise the working capital necessary to grow its customer base on La Gonave to 2,000 households or 10,000 people by January 2016. 80 percent of Haiti’s population lives below the poverty line. The World Health Organization (WHO) estimates that only 43 percent of the target population receives the recommended immunizations. There are 25 Physicians, 8 Dentists and 11 Nurses per 100,000 people in Haiti. Only one-fourth of births are attended by a skilled health professional. Most rural areas have no access to health care, making residents susceptible to otherwise treatable diseases. In 2003, for example, the WHO confirmed an outbreak of typhoid fever in Haiti that, because of a lack of access to physicians and safe water, led to dozens of deaths. Annually, 5,000 Haitian babies are born infected with the AIDS virus. The disease causes a fifth of all infant deaths and has orphaned 200,000 children. The country’s minimum wage is 70 gourdes per day, equivalent to about US$1.70. Boute and Dolan are enthusiastic about RE-VOLT’s future. According to Dolan, “We think there’s massive potential for us to provide additional services such as wi-fi hotspots, not to mention systems with better power generation and storage capabilities. The challenging and very real issue of affordability will continue to exist among the impoverished. I received this news and Zimbabwe photo yesterday from Steve Katsaros, founder of Nokero, a pioneering Denver company that makes great solar light bulbs that replace poisonous kerosene lamps that are so prevalent where people have no access to electricity. 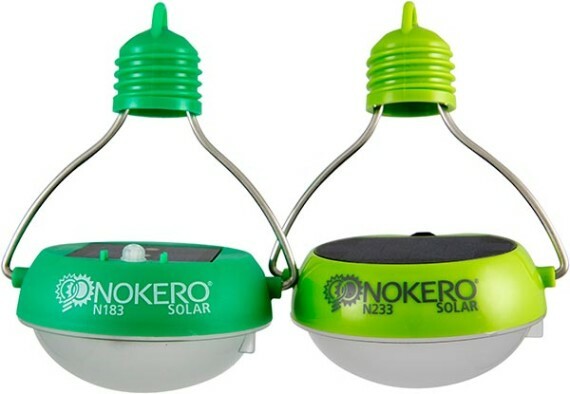 My colleagues and I have been all over the globe researching, inventing, selling and building Nokero…After nearly 6 years in the solar light business, we have finally created the perfect mix of performance and price. Today, October 20th is the launch date of the WORLD’S MOST EFFICIENT LIGHT BULB! Here are two products from Nokero, the N183 on the left, and the N233 on the right. Nokero sells the N183 for the modest retail price of $5.99 in-country. The N233 retails for $17.99. Mr. Katsaros tells me the N233 is two to three times improved over Nokero’s last model, fitting in your pocket, with an easy-push button, and charges in one day to give 6 hours of light (high) or 15 hours (low). “This is the most efficient light bulb in the world and the most efficient solar light product we have tested (at 700 lumen-hours per watt),” said Katsaros. For those who might be wondering, Nokero filed patents on the new light a few weeks ago. For those who don’t know this company, you should know 1.3 billion people in the world live without electricity. 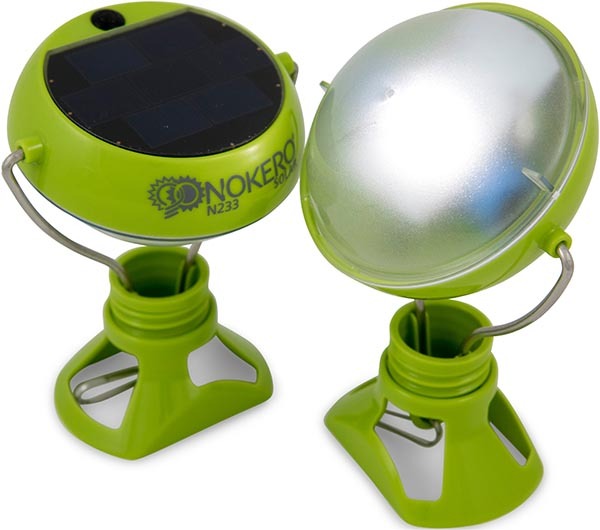 Denver-based Nokero (short for no kerosene) is seeking to bring these people light. I wish this company the best in this clean energy endeavor, as well as all the people they reach. 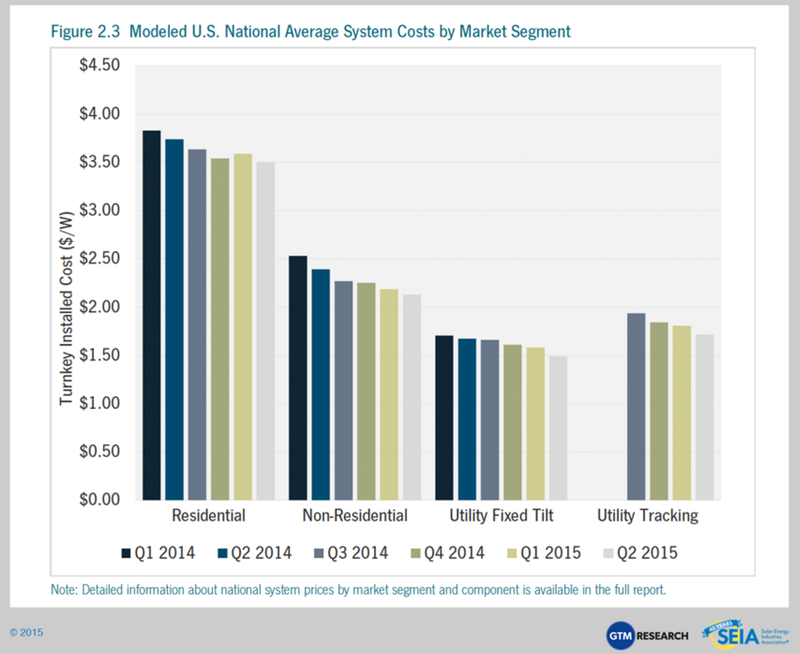 A new report from Technavio presents some fascinating insights about the global solar generator market. To start with, the annual market size in 2014 was $302 million and has been predicted to be $450 million by 2019. By the time we reach 2019, the market growth rate could be 9.20%, according to the same report. For the sake of comparison, the entire global generator market has been estimated at $16 billion for the year 2014, and could grow to $22 billion by 2019. Some of the leading vendors in this market are Apr Energy Plc., Caterpillar Inc., Mitsubishi Heavy Industries Ltd., and Wacker Neuson S.E in Germany. Typically, conventional generators run on diesel fuel or gasoline. The problem with this kind of process is the toxic air pollution that is produced when operating such a generator. This air pollution can be harmful to the health of humans and contributes to climate change. These options aren’t cheap, either. It’s a very obvious point, but the main advantage of solar power generators is that they don’t generate air pollution of any kind. So, they can’t harm human health or contribute to climate change in the way that diesel generators do. 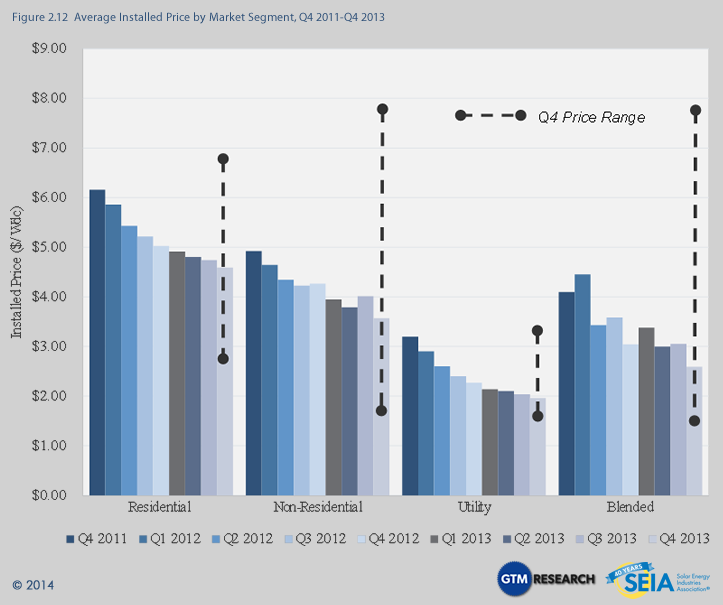 Diesel and gas generators dominate the market, just as petroleum-based fuels do in the energy markets. However, there is a global shift away from fossil fuels underway. This transition is gradual, but eventually, as the economics favor renewable energy more and more, we appear to be poised to see a reversal. 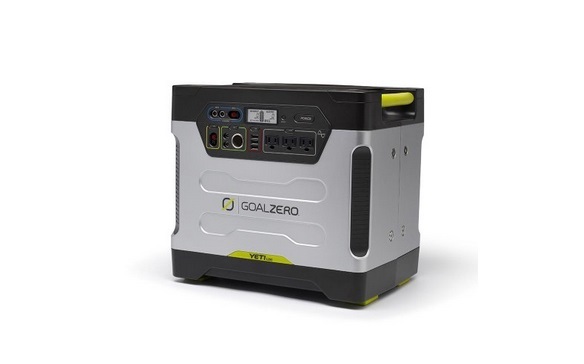 Another advantage of using solar-powered generators is that they don’t use a flammable fuel. Additionally, no handling of fuel is required, so people won’t get it on their skin or inhale noxious fumes. No fuel transporting is necessary either, so it won’t get spilled in areas near people or wild plants or animals. Solar power generators also can last for decades, whereas gas and diesel generators typically last about 5–8 years. 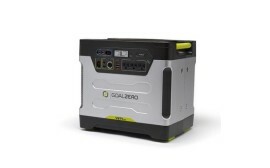 Some of the top vendors of these devices are Ground Zero, Solar Stik, and Hollandia Power Systems.